No game took bigger steps to improve itself in 2018. Destiny 2 emerged from the shadows and finished the year looking like a completely different game than it began. I’ve been around for a lot of ups and downs with the Destiny franchise. The rather blah first year of the original Destiny where Bungie was still figuring things out, and The Taken King expansion that followed which is still considered the best DLC in the minds of some veteran players. However, never had I seen Bungie take a beating like the one it took in early 2018, and I was equally shocked to see things turn around as the year moved along. Destiny 2 went from doghouse to penthouse this year, earning the Shacknews Most Improved Game of 2018 award. 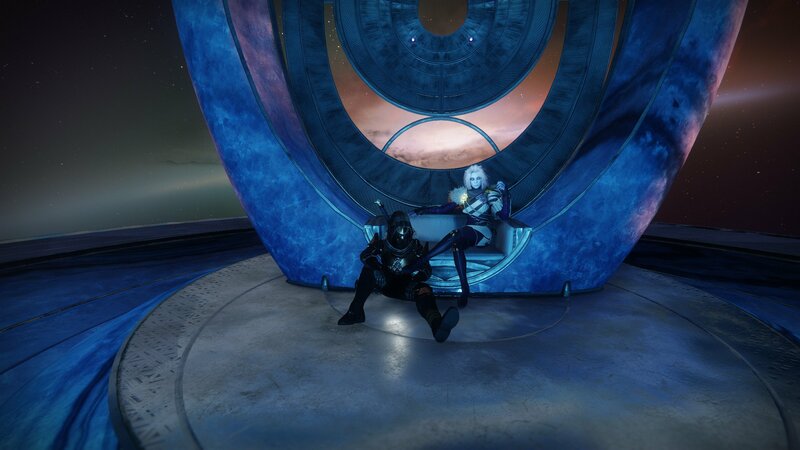 Guardians waited a very long time for this meeting, and it finally arrived with the Forsaken DLC. As tends to be the case these days, the hate towards Bungie and Destiny 2 in the first half of 2018 rolled on like a snowball gaining momentum down a cliff. Much of it was deserved, with the r/DestinyTheGame leading the daily charge and calling out bad decisions, like pushing sparrows, ships, and ghosts through Eververse, a microtransaction store that was initially sold to players as a means to provide free content. In early 2018, however, it was clear that Eververse was not only here to stay, but a primary focus of the Destiny experience moving forward. It didn’t help that Bungie was caught slowing player progression to prevent Guardians from earning free Eververse loot, presumably nudging them more towards spending real money on such things. In early May, Warmind was released, and players were again underwhelmed. It was received better than Curse of Osiris and the Infinite Forest in late 2017, but it still lacked punch. It wasn’t until Bungie began talking about a new expansion called Forsaken that things started to look up. By the middle of 2018, Bungie had provided the community with a roadmap to help them track changes coming to the game. Alongside numerous quality-of-life improvements, Forsaken was revealed, as well as a new PvP/PvE hybrid game mode called Gambit. Gambit was well received in demos, and a small spot of optimism began to creep into the Destiny 2 fanbase, although it was still looking like a relatively quiet summer at the Tower. The date the healing process began in Destiny 2 can be pinned on was July 17, 2018, when a secret quest popped up that allowed players to earn the Whisper of the Worm, an Exotic Sniper Rifle that is still regarded as one of the best weapons in the game nearly six months later. The unexpected quest was an example of Bungie getting it right. There was no aimless grinding, the quest was challenging and fun, the reward was exceptional, and the community had something interesting to rally around. I personally spent eight hours, much of it sitting on a rock talking with other Guardians, fighting to get that weapon, and it is the best experience I’ve had in Destiny 2 by a mile. The community anger was largely washed away, and players seemed ready to fall in love with Destiny again. On September 4, 2018, almost a full year after Destiny 2 launched, Forsaken was released. Guardians lost a fan-favorite character in heartbreaking fashion, and the narrative focused on revenge, a perfect way for players to vent their frustration after a tough year. What Forsaken did best, though, was improve the Destiny 2 end game. The Tangled Shore and Dreaming City were introduced as two new locations to explore. The Dreaming City might be the best environment created in Destiny history next to the Vault of Glass, full of secrets and changing scenarios that make the experience feel fresh every week. The loot economy was as good as it’s been in Destiny 2, with more ways for players to level up. Random rolls were brought back, throwing the weapon meta on its head. Finally, The Last Wish raid was a hit and is regarded as one of the best Bungie has ever created. Forsaken, from top to bottom, was a win with the community, and Destiny 2 was back. I could write thousands of words about how far Destiny 2 must go still. I could gripe about some of the quest design, or the frustrating randomness of exotic drops and uselessness of Xur. However, I can’t look back on 2018 and be anything but shocked at how Bungie managed to turn an angry community into one with hope for what Destiny 2 can still become. No game has come further than Destiny 2, and that’s why it deserves The Shacknews Award for Most Improved Game of 2018. I would have to give it to No Man's Sky. Not a DLC in sight and they keep improving the game at no cost to its users. How much did a person have to spend to play an improved Destiny 2?